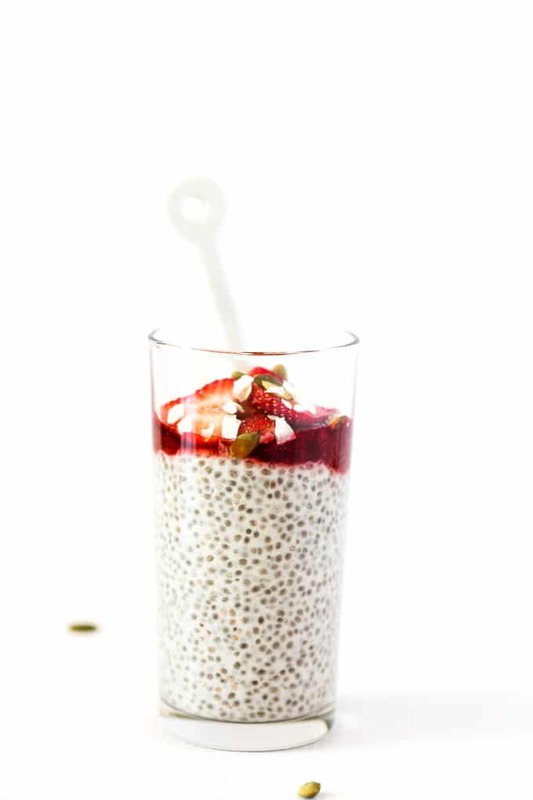 These vegan coconut yogurt chia seed pudding parfaits are my all-time favorite breakfast. 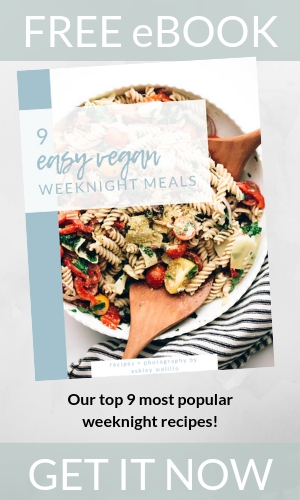 They’re nourishing, easy to make, versatile, and can be prepared ahead of time to enjoy as a quick grab-n-go breakfast throughout the week! 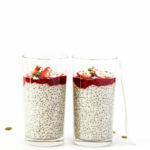 I’ve made a lot of chia pudding over the last few years, but this one is far and away my all-time favorite! It’s luxuriously creamy, subtly sweet, and intensely satisfying. Using a combination of coconut yogurt + plant-based milk for the base as opposed to only plant-based milk. 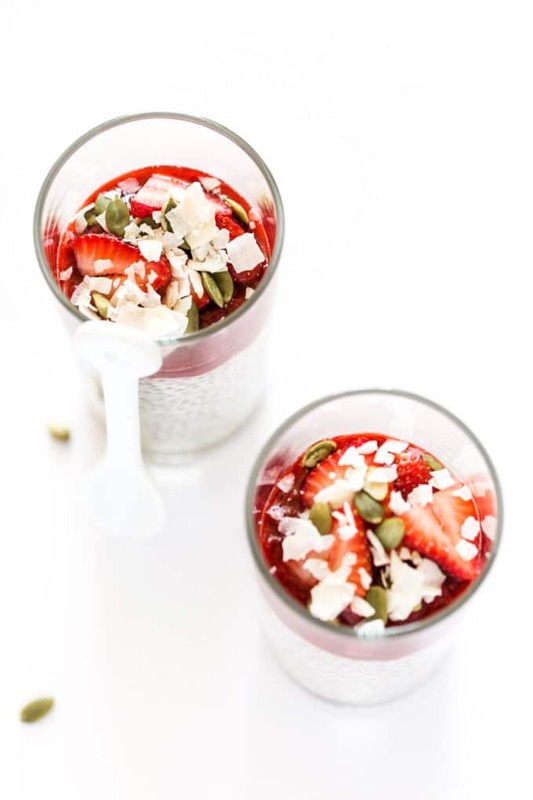 I’m telling you, once you go coconut yogurt chia seed pudding, you’ll never go back. You can make the chia pudding using store-bought coconut yogurt, but I strongly recommend using homemade coconut yogurt instead. Yes, homemade. But before you scoot your cursor across the screen to X the heck out of here, at least give me the chance to explain why this isn’t as fussy as it sounds. Please? Homemade coconut yogurt is surprisingly easy to make. No fermenting required, no long wait. Nope, none of that fussiness. All you’ll need? Two young thai coconuts, a sturdy kitchen knife to hack them open, a spoon to scoop out the pretty white flesh, and a blender. Oh yes, and a splash of the following: fresh lemon juice, pure maple syrup, and vanilla extract. 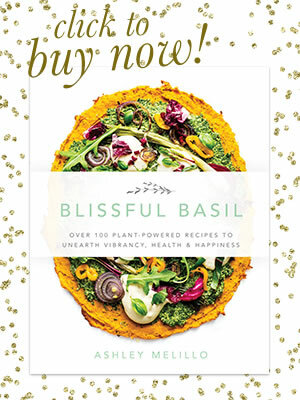 Easy as pie, and we have Gena Hamshaw of The Full Helping to thank for it. Her awesome recipe was the first one I used to make homemade coconut yogurt, and it will likely be the last because it’s that good. Again, you can use store-bought coconut yogurt, but for the most dreamy, life-changing chia seed pudding, I recommend making your own. Now, let’s talk parfaits . 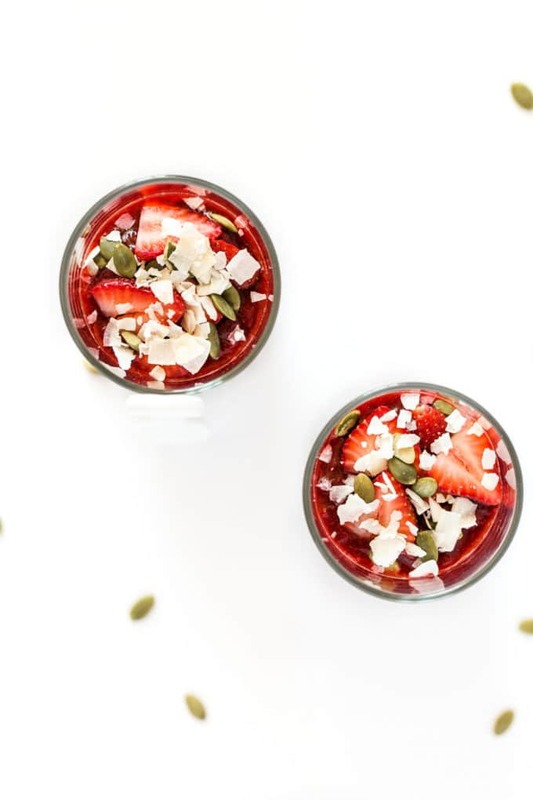 . .
For the ultimate breakfast parfaits, that delightful coconut yogurt chia seed pudding is topped with a super simple, two-ingredient strawberry jam, fresh strawberries, pepitas, and coconut flakes. 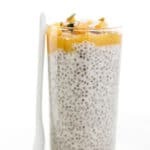 To make the chia pudding, you’ll whisk together vanilla coconut yogurt, plant-based milk, pure maple syrup, and a dash of sea salt until smooth. Then, you’ll whisk in 1/3 cup chia seeds, cover, and chill the mixture for at least 4 hours to thicken and set. To make the strawberry jam, you’ll bring fresh or frozen strawberries (I prefer frozen for this recipe) and pure maple to a rapid simmer. 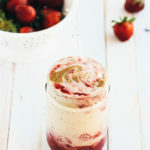 Then, reduce the heat and continue to simmer for 10–15 minutes, or until the strawberries break down into a saucy, syrupy mixture. 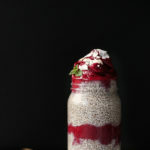 Ultra creamy vegan coconut yogurt chia pudding is topped with a simple 2-ingredient strawberry jam. 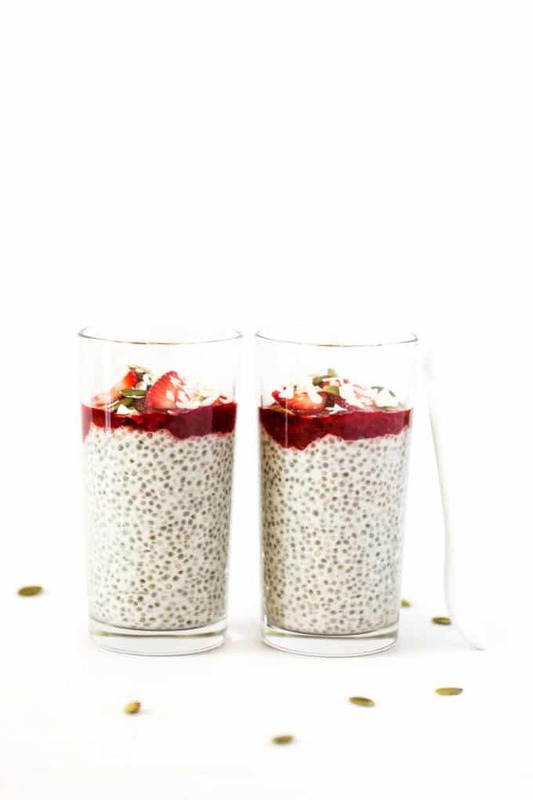 This is my all-time favorite chia pudding recipe. 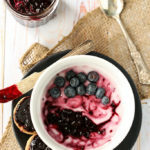 It's easy to make, versatile, and can be prepared on a Sunday and to enjoy as a quick grab-n-go breakfast throughout the week! In a medium mixing bowl, whisk together the coconut yogurt, plant-based milk, maple syrup, and sea salt. Add the chia seeds and whisk until evenly dispersed throughout the liquid. Cover and refrigerate for at least 4 hours to thicken and set. Thoroughly whisk after refrigerating to redistribute the chia seeds. In a large saucepan, combine the strawberries and maple syrup over medium-high heat. 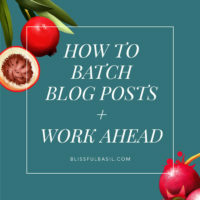 Bring to a rapid simmer, reduce the heat to medium-low, cover, and cook for 10–15 minutes or until the fruit has broken down, stirring occasionally. 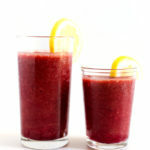 Remove from the heat and use the back of a spoon to roughly mash any remaining large pieces of fruit. Let cool completely. 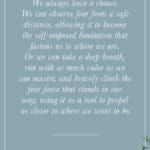 Transfer to an airtight jar and store in the refrigerator. 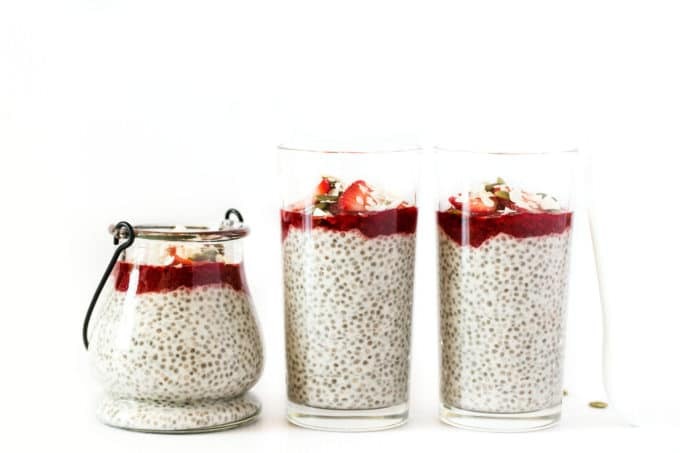 Spoon the chia pudding into 4 bowls or glasses and top with the strawberry jam. Garnish with toppings, if desired. *For best results, use homemade coconut yogurt. However, in a pinch, you can substitute store-bought vanilla coconut yogurt. Keep in mind that depending on the sweetness of the yogurt, you may need to adjust the amount of maple syrup. **I use unsweetened almond milk. 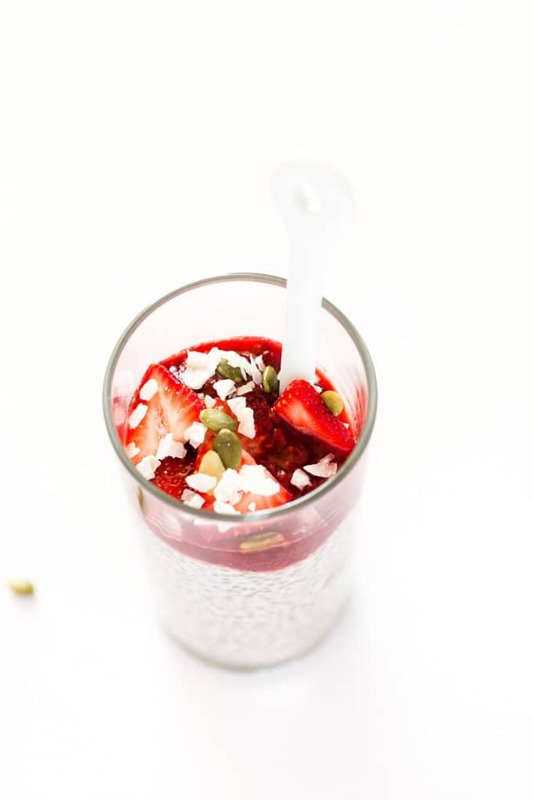 You might just win me over on this chia pudding. The coconut yogurt just might be the secret. Thank you! Gah okay, you’ve convinced me to make my own coconut yogurt now! This is the prettiest! Abby, I swear, the homemade coconut yogurt is a game-changer (and I never thought that sentence would be typed by my own fingers)! I currently have two coconuts sitting in my fridge and am actually about to make a fresh batch in just a minute. Hope you’re having a beautiful start to summer, and happy (almost) long weekend! I made this last night and had it for breakfast this morning. It was delicious :) I also added coconut milk…yum! Great recipe (using tonight), but just wanted to clarify that a yogurt is a fermented food. So this is actually more of a coconut cream like recipe as you are blending the coconut flesh and flavouring it rather than letting the milk of a coconut ferment with the proper probiotic bacteria. Just curious, how is it yogurt without the probiotics? 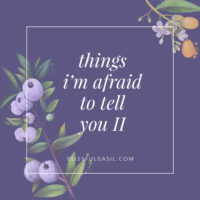 I am currently making this and am excited! You know, that’s a good point. Didn’t think about it because it tastes so much like yogurt (the lemon offers a bright tanginess), but you’re right. I suppose it’s similar to the way vegan “chicken” or “meatballs” are still labeled as such because of their flavor as opposed to their contents, but you make a very good point! Can you use a regular coconut instead of a Thai coconut for the coconut yogurt? Hi, Katie! I don’t recommend it—regular coconut meat will be too thick and will churn into coconut butter instead of coconut yogurt. I’m all for make ahead breakfasts for the week, so if I made this in advance, how many days do you think it would last in the fridge? It will last about four to five days! Enjoy! Is this Keto friendly/? I can’ttell if the maple syrup kicks it off the Keto list. Hi, Michelle! I’m so sorry, but I’m not sure whether it’s Keto or not.